Today kicks off our 28Day Giveaway with the always awesome AdaLou Vintage!! I've been an admirer of AdaLou for awhile now. Not only do they have a great collection of mod housewares, but Sandi, the owner and curator of AdaLou, also keeps the shelves stocked with the cutest vintage baby clothing! I don't have kids but after seeing some of the adorable little rompers, I'm dying to have my own vintage baby one day! When Sandi's not busy at AdaLou she's running Benandi, her handmade store where she sells her handmade plush toys, pins, and charms featuring her own original illustrations. 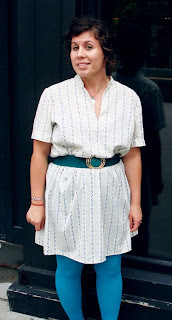 She's also got a great blog where she shares her favorite finds (I love Take Ten Tuesdays), art lusts, and tales of motherhood. I'm still trying to figure out how she does it all! So what are we giving away? Well we have TWO prizes on TWO blogs and TWO ways to enter! 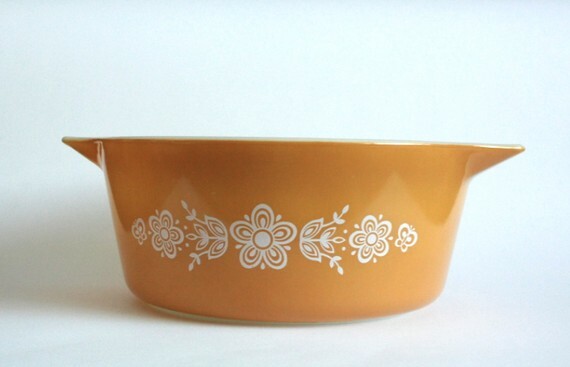 Complete your retro kitchen with this Pyrex dish from AdaLou. The 2.5liter casserole dish is tough enough to go from oven to table without breaking a sweat! You also get a $10 gift certificate to the Apt528 Store so you can stock up on your favorite handmade and vintage decor and accessories. Comment below stating your favorite item. Each comment counts as ONE entry. Make sure to give your email, otherwise we'll have no way to contact you. You have until Sunday night at 11:59PM to enter and you can enter up to 10 times. The winner will be chosen Monday morning. Valid for US residents only. 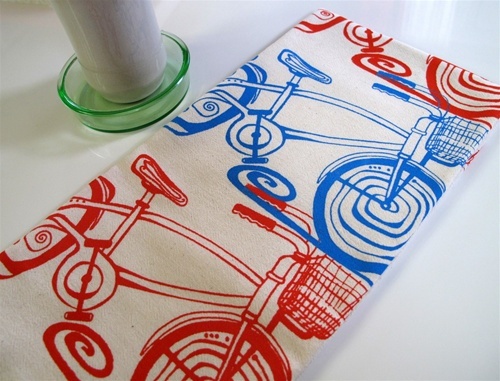 Tea towels! You love 'em, now win some. Head to AdaLou to enter. I love her sailor girls outfit! I liked you on FB and said hello! No question, the Pied PIPER of Hamelin book! 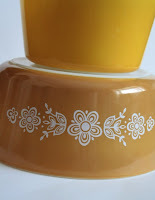 A close second is the Sugar Bowl, Creamer and matching saucer! I also commented on Facebook! Collecting vintage baby clothing is my hobby. I believe that this kind of clothing holds a particular beauty and finesse that is historically sincere. The colors, the textures, patterns, small details, all culminate to a wistful style that has withstood the test of recent times and trends.